Screenshot of interactive diagram page showing a chain saw. Eddy Knasel has been active in the Land Based Colleges National Consortium - a group dedicated to helping Land Based Colleges achieve high quality teaching and learning. Tutors in such colleges are often very hands-on and practical but the theory still needs to be taught. Eddy put together this learnin gobject to show how Xerte Toolkits could be a great way of doing the theory in ways that would suit classroom use and also work on tablets - or even phones - in the field. 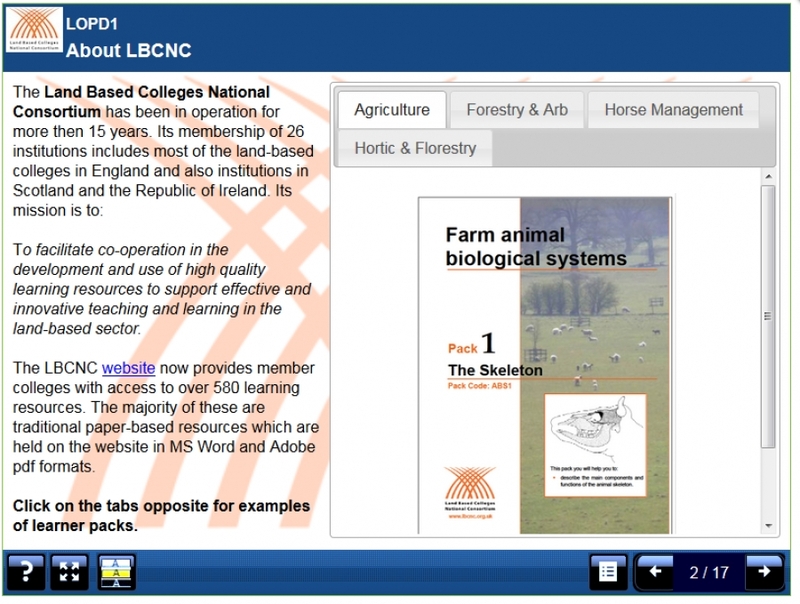 This learning object demonstrates different ways of using Xerte page types in a Land based curriculum. How this LO add value for my learners? : The learning object shows tutors ways they could use Xerte in a curriculum context with which they are familiar.